Digital Dig Team is a pioneering project that not only aims to uncover the untold story of Costa dos Castros, but to do it in a way that no project has ever done before. 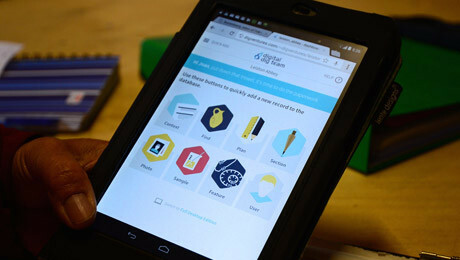 Every discovery made by the archaeologists is recorded on iPads, and is immediately available online. All the records are open for exploration, and you can also stay up to date in real time with dig happenings on Facebook, YouTube, Twitter, LinkedIn and Google+. 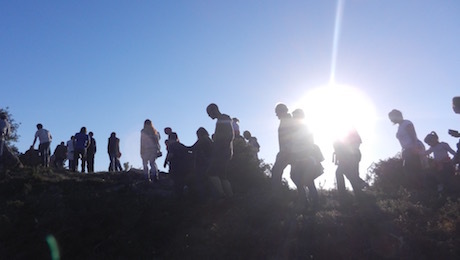 Anyone can join in – whether it’s online or in the field. Digital Dig Team is a uniquely digital and social project. It is crowdsourced and crowdfunded, including participants and funders from all over the world. A brand-spanking new online recording system, combined with social media and 3D imaging, Digital Dig Team makes all of the excavation’s information instantly available online as soon as it is created or comes out of the ground. Historically, archaeologists have recorded their finds on paper. This means the data can be difficult to access, and the results often take many years to publish. DigVentures is pioneering a new online platform that means all of our data is open-source, available to everyone, and published live, online, in real time. The project also uses photogrammetry (a process of 3D modelling using standard digital cameras) to create shareable, moveable, zoomable 3D images of the finds, trenches and the site itself, all of which are embedded in the open-access archive, enabling everyone to get up close and personal with the finds. It’s also truly participatory. The data isn’t just visible, it’s also offered up for interpretation – any one can comment on, contribute to and ask questions about the project’s discoveries. This fantastic innovation means many more people can be involved in the project: from experts flung across the four corners of the earth, to a local resident, and on to a much wider community of people who are interested in archaeology. Crowdfunding the project means it is owned and run by its community of funders. Depending on their level of support, funders are also able to come and dig alongside the DV team. 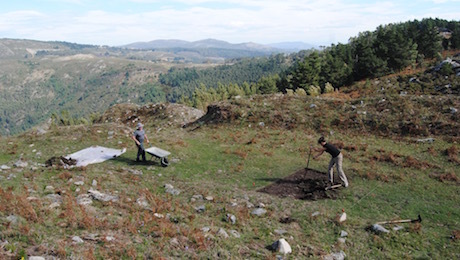 Our focus is to make sure that cutting-edge field skills are taught and developed, ensuring that our supporters’ input is as meaningful to the project as that of the professional archaeologists working alongside them in the trenches. You might start out as a novice digger, but by the end, you’ll be equipped to make valuable archaeological interpretations in the field. Everyone can follow the excavations in real time, be involved in their interpretation and even shape the direction of future research. It’s archaeology – in your hands. This narrow strip of coast is choc-a-bloc with archaeology, and so much more! 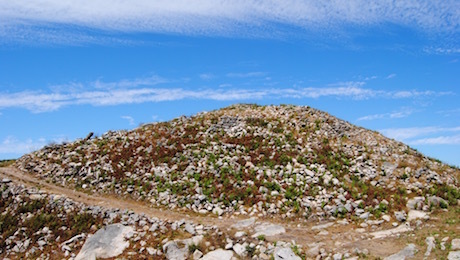 Archaeology helps us learn more about the people who built these Iron Age hillforts. 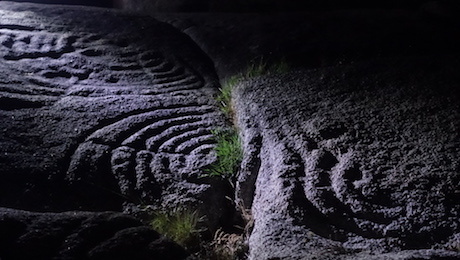 Costa dos Castros is dotted with thousands of enigmatic Bronze Age rock carvings. The people who live here own the land communally and decide what to do with it. 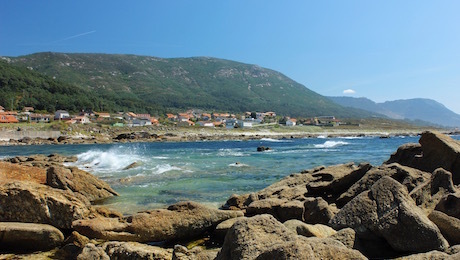 Come to Galicia and help us unearth the clues to decipher Costa dos Castros’ past.